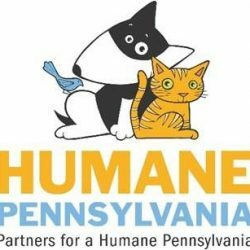 Reading, PA – We are honored to announce that the Humane Veterinary Hospitals Reading has been chosen to participate in the Golden Retriever Lifetime Study Program. The Golden Retriever Lifetime Study is the largest, most comprehensive prospective canine health study in the United States. The study’s purpose is to identify the nutritional, environmental, lifestyle and genetic risk factors for cancer and other diseases in dogs. Each year, with the help of veterinarians and dog owners, the Morris Animal Foundation collects health, environmental and behavioral data on 3,000+ enrolled golden retrievers. In collaboration with our passionate supporter, Linda Sarangoulis, along with her dog Apollo, the Humane Veterinary Hospitals Reading was given the opportunity to become a participating veterinary practice. As a participating veterinary hospital, the hospital will play a significant role in assisting the Morris Animal Foundation’s Golden Retriever Lifetime Study to identify major nutritional, genetic and environmental risk factors for cancer and other important diseases in dogs.